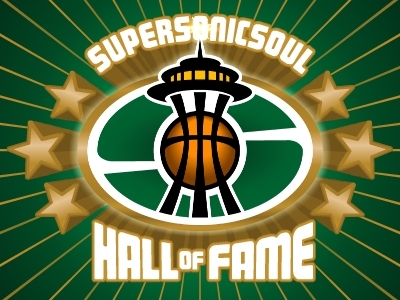 We’ve covered plenty of former Sonics in our sporadic “Where Are They Now?” series. From Dana Barros’ off-court troubles, to Sam Perkins at a Barack Obama rally, to Sedale Threatt’s son’s success as a college football player, we’ve seen plenty. But we hadn’t seen it all. Not by a long shot. For slipping through the cracks was one Jim Farmer. No, dear reader, not Ed Farmer, the erstwhile hurler of the Pale Hose, I mean Jim Farmer, as in the fellow who put up 5.3 points per game in his five NBA seasons. The Jim Farmer who we lauded for a surprising dunk more than 15 years ago. What is Farmer up to these days? Teaching youngsters his patented, 180-degree hand clap? Tutoring bench filler on the proper way to retrieve missed jumpers at a shootaround? Has he gone into, ugh, farming? None of these. Rather, Jim Farmer has gone into ... singing. No, I’m not kidding. In fact, check out www.jimfarmer.com if you don’t believe me. Back? Were you as mesmerized by those beautiful baby blues as the author was? Did you feel the urge to purchase Farmer’s latest CD “Baby Come On”? Does his new “hit” single, “She Is,” make you want to jump up and dance? Honestly, had you asked me yesterday, “Pete, out of all the former greats to wear the green and gold, which former Sonic would you say is most likely to record an album?” my response probably would have ranged to Derrick McKey or Sam Perkins. But Jim Farmer? A singer? 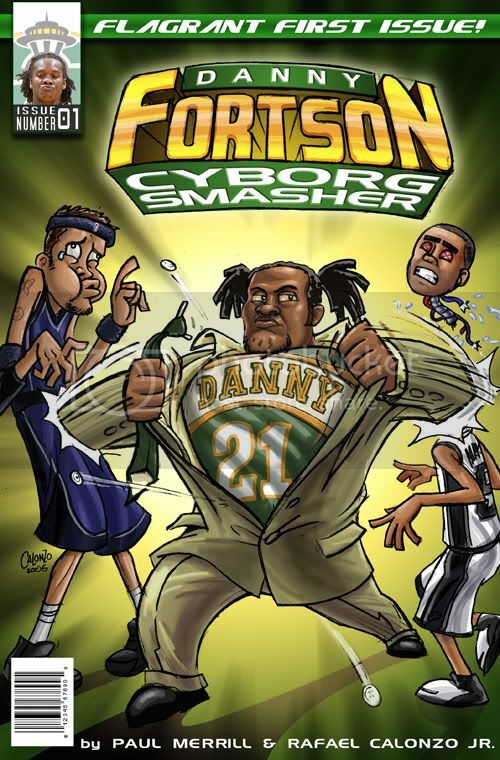 Only Danny Fortson going to work as David Stern’s personal assistant would top that one. speaking of derrick mckey, one of my all time favorite bballer..does anyone know what he is up to these days? man, if he was just as tad more aggressive, he could've accomplished so much more as a player. such a laid back, unassuming guy and played like one as well..
Not too much info on Derrick, but I almost have enough to write up something. If I can find a little more, maybe the next one will be for him. I loved Mckey as well, and I think he's one of the most underrated Sonics of all-time. Granted, he didn't bring it every night, but he probably had as much talent as almost anyone not named Kemp or Haywood in team history. Farmer Jim! Nice find, man. I remember going to the games with my brother (chunkstyles) and watching the team warm up. Then out of nowhere Jim Farmer would throw down a vicious two-handed reverse! Derrick McKey had so much potential. Finished his career with people saying the same thing...great memory of McKey, inbounds alley-oop pass from McMillan to McKey to beat the Rockets at the buzzer in the Playoffs.